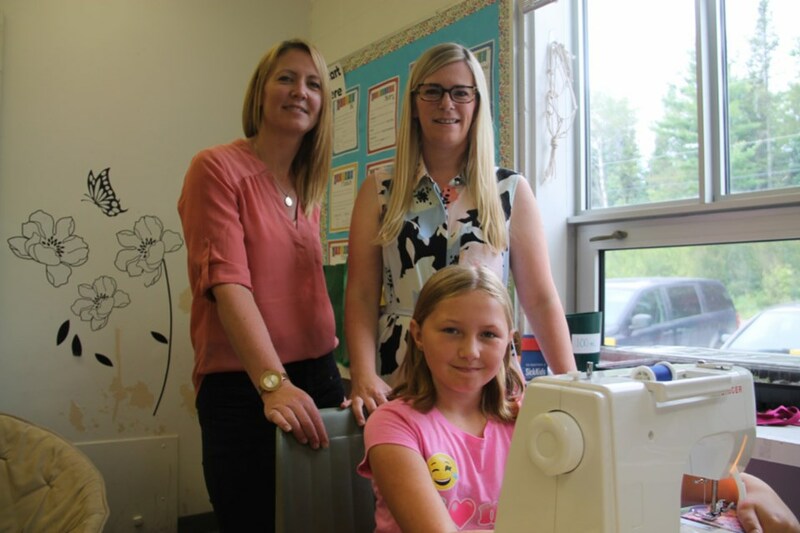 Goulais River, Ontario – A group of 10 Mountain View Public School female students, from nine to 13 years old, under the guidance and inspiration of Mountain View teachers Melissa Rains-Vanderburg (Grade 6 and 7 teacher) and Nikki Burke (Grade 4 and 5 teacher), are sitting at sewing machines and making dresses for girls in need in Africa. The group spends their recess time in the classroom sewing, having begun their work at the start of June. “They didn’t just ‘give up’ recess, but they’re also super enthusiastic about being here. Everybody wanted to make their own dress and they learned how to sew and learn a skill in the process,” Melissa told SooToday. Melissa provided much of the fabric for the dresses for the Mountain View project. Once the dresses are made, they are shipped to a ‘Dress a Girl Around the World’ ambassador in Alberta, who in turn sends them to Africa, where various international aid and church groups distribute them to girls throughout the continent. “I would say it’s a go for next school year as well,” Melissa said. Read the full story on SooToday.com.